Join BRIC TV for an exclusive, live in-studio performance and interview with Chris Rob. It's B-Side Turntable and everyone's invited to come early starting at 6pm and enjoy BRIC House drink specials and jam to the beats of DJ Jive Poetic followed by an exclusive interview and performance by Chris Rob. 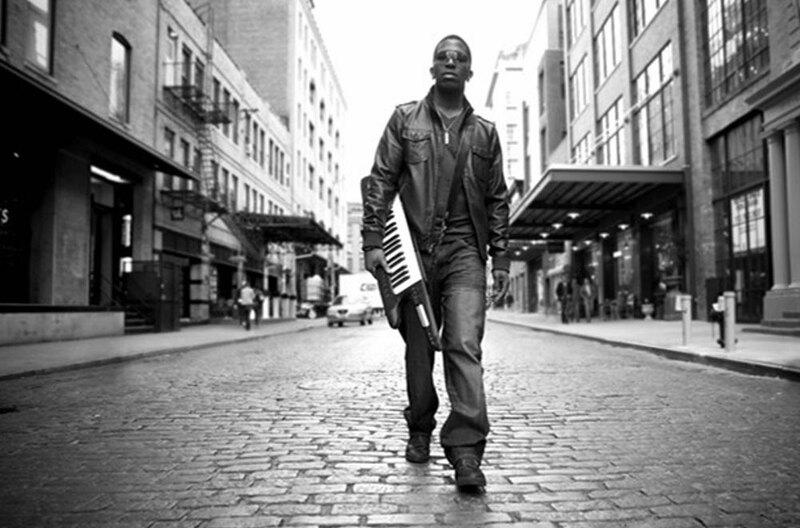 Born and raised on the South Side of Chicago, Chris Rob has established himself as a world renowned vocalist, pianist, producer, songwriter, and composer. In addition, he has gained a reputation for electrifying audiences with his energetic and passionate live performances. While cultivating paths for his own music, he has toured alongside and shared the stage with truly the music industry's greatest across all genres including Stevie Wonder, Roberta Flack, John Legend, Kanye West, Anita Baker, Talib Kweli, Jill Scott, Anthony Hamilton & The Roots. He most recently appeared on NBC’s "Celebrity Apprentice", as well as alongside his brother, comedian-actor-singer Craig Robinson, on the NBC sitcom "Mr. Robinson." Currently settled in Brooklyn, New York, Chris Rob continues to tour globally with his own band and direct music for his brother's band, "The Nasty Delicious", all while recently releasing his fourth independent project "Sound Of Da Struggle", composing for television and movies, and venturing into deejaying. B-Side is BRIC TV's live in-studio music series and screening, featuring performances from emerging and established musicians on Thursday evenings – free of charge. The in-studio seating is very limited and first come, first served. RSVPs do not guarantee entry and are used solely for measuring attendance. These performances are open to the public, however our studio space is limited. For this reason, the performance will be broadcasted on the Stoop simultaneously. Doors open at 6pm. Guests who would like to be part of the intimate, in-studio experience are encouraged to arrive at this time. The in-studio portion of the event begins at 7:30pm and the broadcast begins at 8pm.